The Global Positioning System that delivers GPS coordinates to Google Maps and other location-based services on tech devices uses the existing latitude and longitude system. The latitude lines indicate the distance north or south of the equator, while longitude lines indicate the distance east or west of the prime meridian. Using a combination of latitude and longitude, any location on Earth can be uniquely pinpointed. Open a web browser and go to the Google Maps website. Any browser will work. Go to a location for which you want the GPS coordinates. Right-click (or Control+click on a Mac) on the location. Select What's here? from the menu. Find the GPS coordinates at the bottom of the screen. Select the coordinates at the bottom of the screen to open a destination panel. The destination panel displays the coordinates in two formats: Degrees, Minutes, Seconds (DMS) and Decimal Degrees (DD). Either can be copied and used elsewhere. Latitude is divided into 180 degrees. The equator is situated at 0 degrees latitude. The North Pole is at 90 degrees and the South Pole is at -90 degrees latitude. Longitude is divided into 360 degrees. The prime meridian, which is in Greenwich, England, is at 0 degrees longitude. Distance east and west is measured from this point, extending to 180 degrees east or -180 degrees west. Minutes and seconds are smaller increments of degrees. They allow for precise positioning. Each degree is equal to 60 minutes and each minute can be divided into 60 seconds. Minutes are indicated with an apostrophe (') seconds with a double quotation mark ("). If you have a set of GPS coordinates, such as for geocaching, enter the latitude and longitude into Google Maps to find the location and get directions to it. Select the magnifying glass next to the coordinates in the search bar to go to the location on Google Maps. In the side panel, select Directions to view a map with directions to the location. 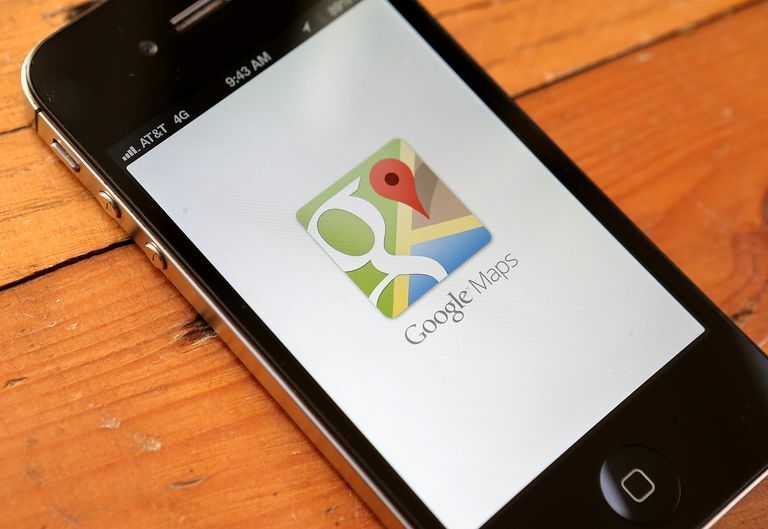 It's also possible to get GPS coordinates from the Google Maps mobile app on your mobile device. It works on both the Android and the iPhone app, and the steps for each are slightly different. If you're on an Android, you'll see the coordinates at the very top of the screen. Open the Google Maps app and select and hold the location until you see a red pin. Look in the search box at the top of the screen to find the coordinates. If you use an iPhone, you'll find the coordinates at the bottom of the screen when you open the location's information. With the Google Maps app open, select and hold a point on the map where you want to place the red pin. Select the top of the information card at the bottom of the screen to bring up details of the location, including its coordinates. Select and hold the coordinates to copy them.